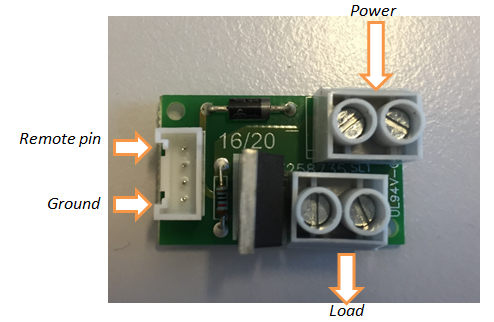 The Grove-Fet is a Grove-module that is able to switch loads on or off. The switching is done by a N-channel MOSFET. 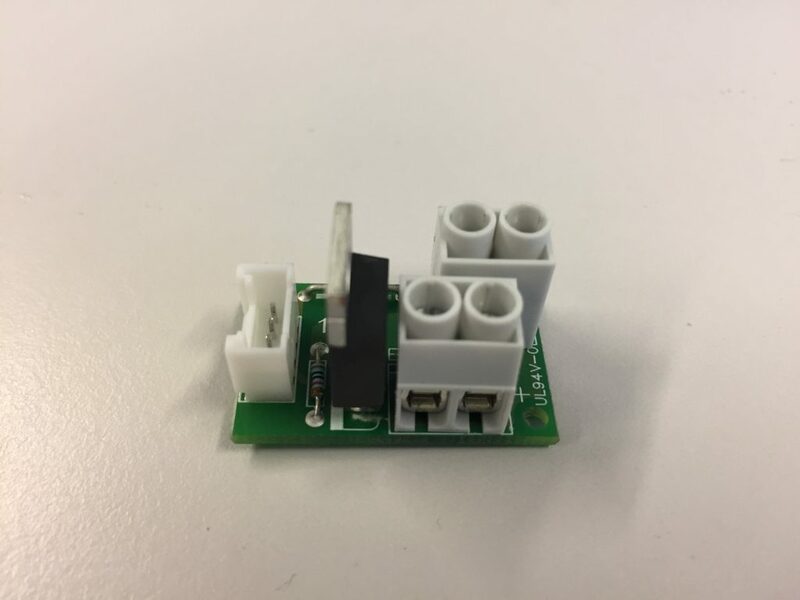 The module grants the ability to switch a high current with a logic level signal (3.3V to 5V ). How can I use the Grove-Fet? 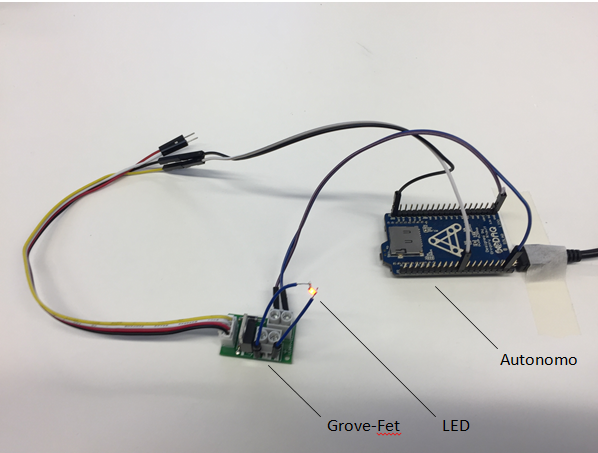 In this example the Grove-Fet is used with a Sodaq Autonomo. The Autonomo is an Arduino compatible development board. The module is being fed with 3.3V from the Autonomo and has an LED as load. The Grove-Fet is controlled by digital pin D7. When D7 is high, the MOSFET will conduct and the LED will be lit.